Some social media users turned to Twitter to share images and videos showing smoke coming out of the cathedral. 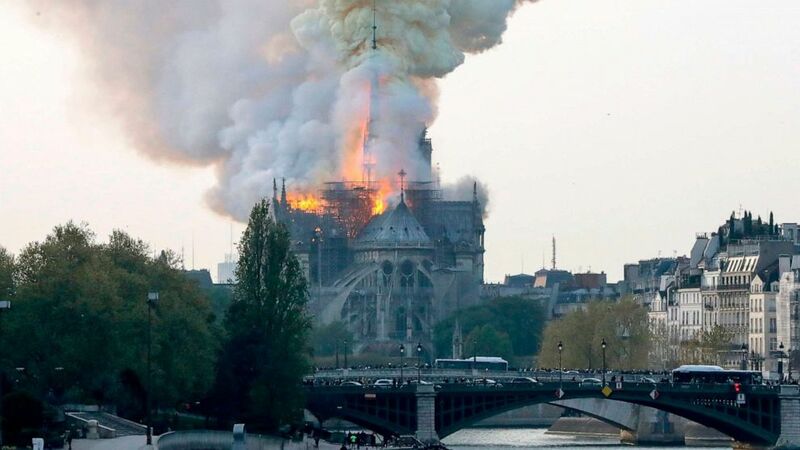 French TV was reporting that the fire had spread to the giant spire of the building. Mayor of Paris Anne Hidalgo labelled the fire "terrible" despite the extent of the damage being unclear at this stage. Macron's pre-recorded speech was set to be aired later Monday on French TV. "I ask everyone to respect the security perimeter". An area surrounding the building in central Paris has been cleared, officials said.